As the College moves into its next century, we invite alumni, parents of students, corporate partners and friends to leave their mark by purchasing an inscription on one of the granite pavers lining the plaza walkway and patio area along the Grady lawn. The Next Century Campaign is drive to support the preservation and beautification of the plaza area in front of the building. Several levels of support are available. Inscriptions purchased by or honoring students are $100. Alumni inscriptions are $150. Each 3’x 3′ paver holds up to 12 names. Pavers featuring corporate names or logos are available for $2,500. For design purposes, no text other than names and graduation years will be permitted on the pavers. 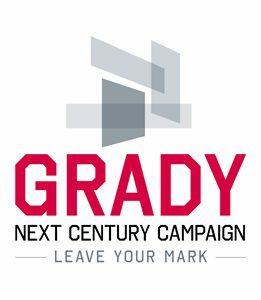 Click here to leave your mark at Grady. We value investments of your time and talent, as much as we do your treasure. 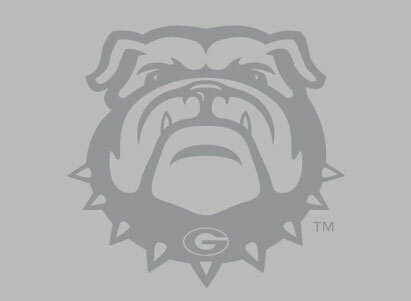 Please let us know how you can best support Grady College. 36 gifts of $25 pay for a bus to send a group of Grady students to Atlanta for the day where they will tour workplaces, network with alumni and friends, and perhaps take the first steps towards an internship or job. 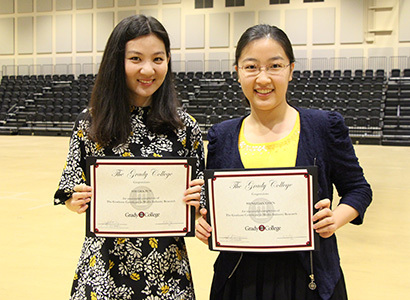 20 gifts of $50 provide a full scholarship for a Grady Student to spend their Maymester studying and learning in New York City. 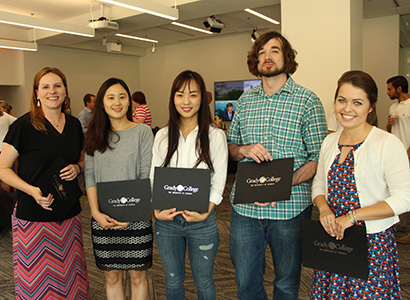 50 gifts of $100 supply a full scholarship for a student to attend the Cannes Film Festival in France, where Grady students are the only group of college students from the United States meeting top professionals in the entertainment industry. 8 gifts of $250 cover the costs of a professional-in-residence that can teach Grady students skills straight from the field, giving them unique experiences that are advantageous upon graduation. Provides the lifeline, needs and opportunities fund for students and the Grady mission far and wide. 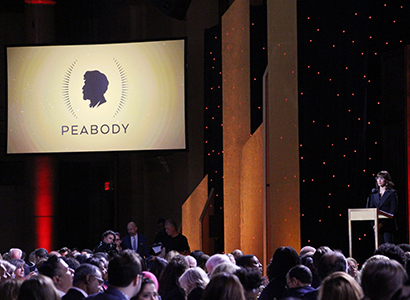 Supports the Peabody Awards program and its mission to recognize stories that matter. Supports the mission of Grady’s Department of AdPR. 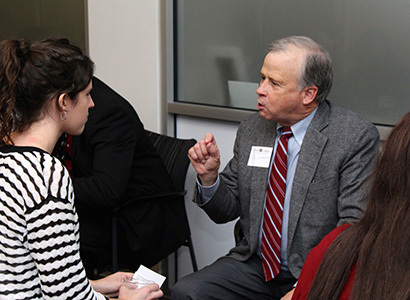 Supports students, faculty and a range of activities to advance advertising education at Grady. Provides support for the activities and finances of the Entertainment and Media Studies major. 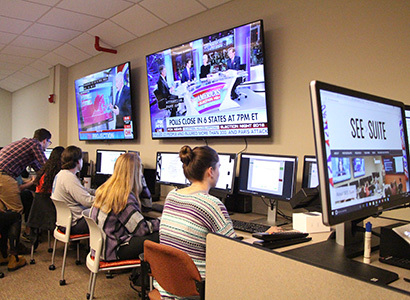 Provides opportunities for students working on a Graduate Certificate in Media Analytics. 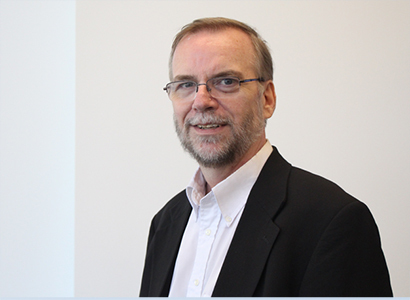 Supports the Department of Journalism in memory of Barry Hollander. 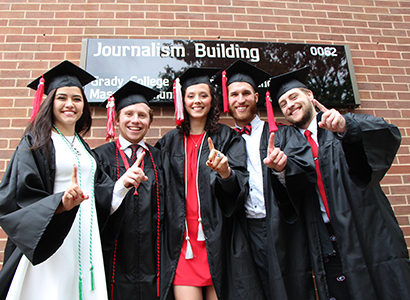 Supports students, faculty and activities of Grady’s Department of Journalism. 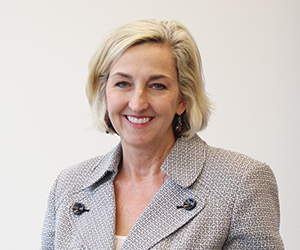 Provides support for the Department of Advertising and Public Relations. 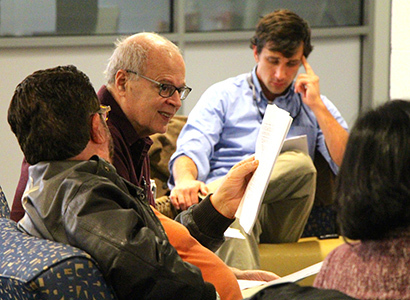 Provides support for the Master of Fine Arts (MFA) in Narrative Media Writing program, a two-year low-residency program designed to train writers in narrative nonfiction and screenwriting. 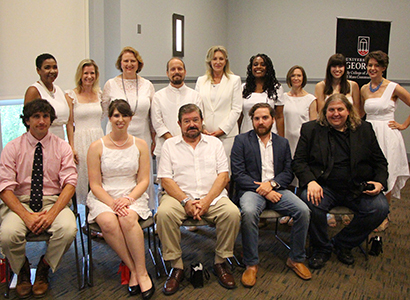 Provides support for students in the Master of Fine Arts (MFA) in Narrative Media Writing program including awards, travel, supplies, and other expenses in support of students. 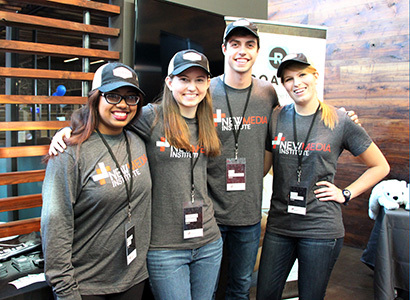 Provides for students and programs of Grady’s New Media Institute. Supports faculty, students and the research mission of Grady’s PR program. 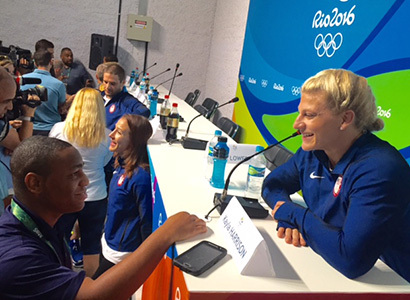 Supports Grady’s Sports Media certificate and provides opportunities for Grady Sports Media students. 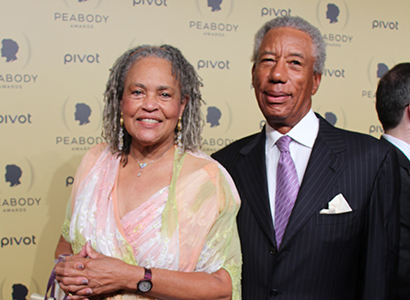 Charlayne Hunter-Gault (ABJ ’63) and Ron Gault have generously created an endowment to inspire and support students in projects that give voice to the voiceless. 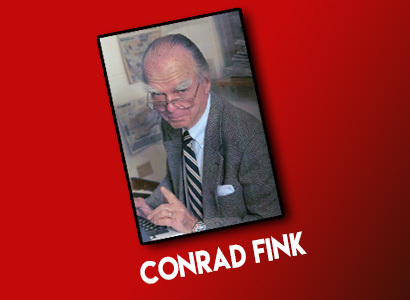 Provides scholarships in the name of late beloved professor of journalism, Conrad C. Fink. 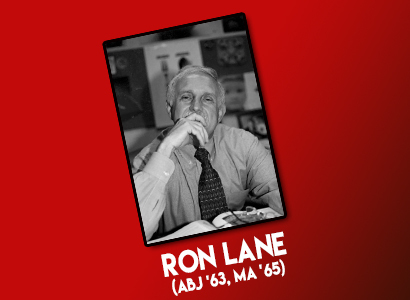 Honors the teaching, leadership and contributions to the field of advertising by Professor Ron Lane. 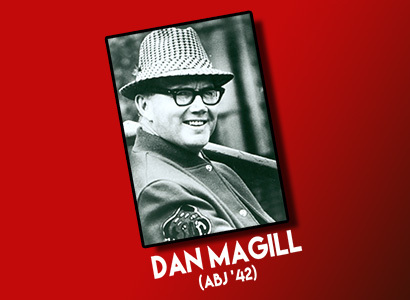 Salutes the memory, coaching, life and career of the legendary Coach Dan Magill. 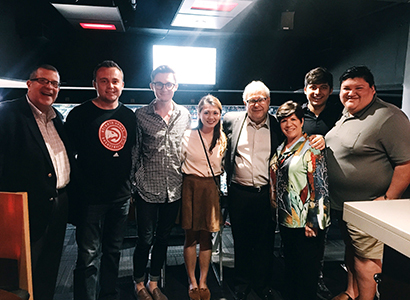 Provides scholarships for Grady students in the name of Steve and Eydie Koonin and family. Provides financial assistance for graduate students to conduct research and engage in scholarship across the nation and the world. 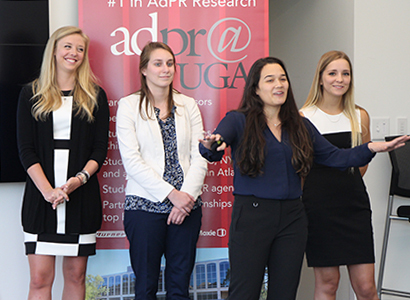 Recognizes outstanding research by ADPR graduate students.